2. Eligibility. The Arizona Midday “STOMP at the Mesa Arts Center” sweepstakes is open to residents of the State of Arizona, 18 years or older at the time of entry. Employees of KPNX-TV, TEGNA, STOMP at the Mesa Arts Center, and each of their respective affiliated companies, subsidiaries, advertising or promotional agencies, and other agents, and the immediate family members of, and any persons domiciled with such employees, are not eligible. Callers are not eligible if they have won a 12 News contest in 2018. 3. Entry. Enter by watching KPNX-TV on February 11, 2019 – February 15, 2019 between 1:00 pm and 2:00 pm. 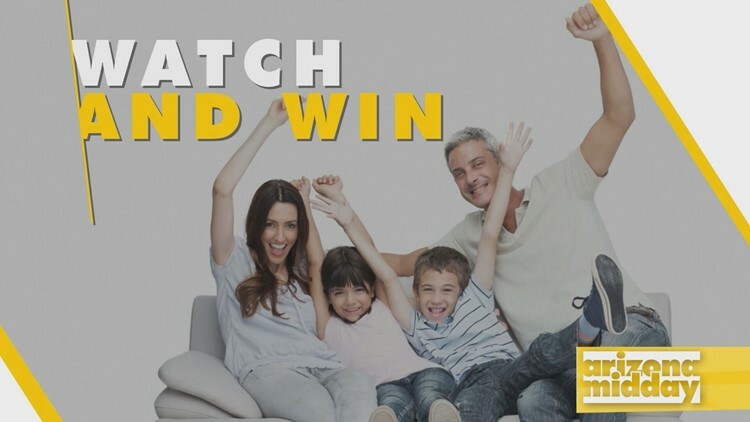 After KPNX-TV broadcasts the “call now” announcement, the 12th caller will become a winner, provided that the caller meets the eligibility requirements stated in these Official Rules. 5. Winner Notification and Acceptance. 9. General Release. By entering the Contest, contestants release KPNX-TV, TEGNA, STOMP at the Mesa Arts Center and any other promotional sponsors, and each of their respective affiliated companies, directors, officers, employees, representatives, partners and agents from any liability whatsoever for any claims, costs, injuries, losses or damages of any kind arising out of or in connection with the Contest or with the acceptance, possession or use of any prize (including, without limitation, claims, costs, injuries, losses or damages related to personal injuries, death, damage to, loss or destruction of property, rights of publicity or privacy, defamation or portrayal in a false light). 10. Sponsors. The Arizona Midday “STOMP at the Mesa Arts Center” contest is sponsored by KPNX-TV and STOMP at the Mesa Arts Center (collectively, “Sponsors”), whose decisions regarding the selection of winners and all other aspects of the Contest shall be final and binding in all respects. Sponsors will not be responsible for typographical, printing or other inadvertent errors in these Official Rules or in other materials relating to the Contest. If you have any questions regarding this Contest, please contact KPNX-TV, 200 E. Van Buren, Phoenix, Arizona 85004.